It’s time to cover some cool bathroom gadgets that will look great in your house and make your own life little bit easier. The Smart Weigh SMS500 is the perfect match for what you have been seeking in a memory scale and its advanced step-on technology makes using a scale easier than ever before. The GlowBowl is the Highest Quality Toilet Light on the market. 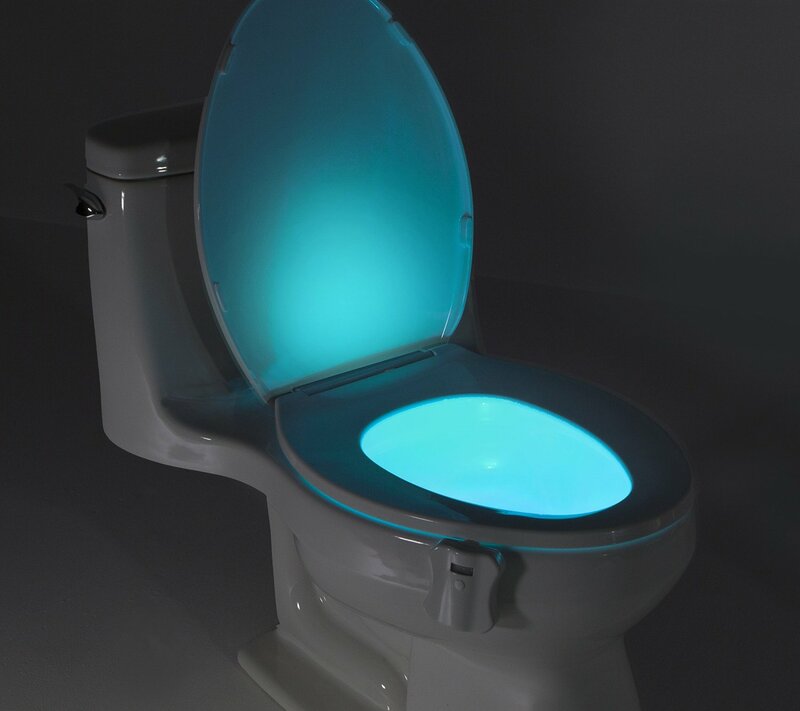 GlowBowl will transform ANY toilet into a nightlight in seconds. Who doesn’t need this? Looks awesome! This LED Water Faucet fits on most taps and LED light will light up when you turn on the tap. There are seven colors you can choose from. I bought this and have to admit that it’s not like the photo, but it’s still pretty cool. Offers hands-free, speakerphone functionality and an Aux-in function that supports most digital audio devices with 3.5mm jack. Waterproof Level IPX7 – Immersion for 30 minutes at a depth of 1 meter. Get relief from flaky scalp, dry skin, dandruff, eczema, and itchiness caused by absorbing unhealthy chemicals in your shower. Non-toxic filter also kills bacteria and inhibits the growth of scale, lime, mold, and fungi – without sacrificing water pressure. MagOn (TM) is the most convenient, lightweight Magic Holder. You can use it anywhere. It has a digital and adjustable thermostat. Very easy to use. It has wet area protection! I hope you enjoyed this list of must have bathroom gadgets. Do you like them? Do you have any cool gadget to add?